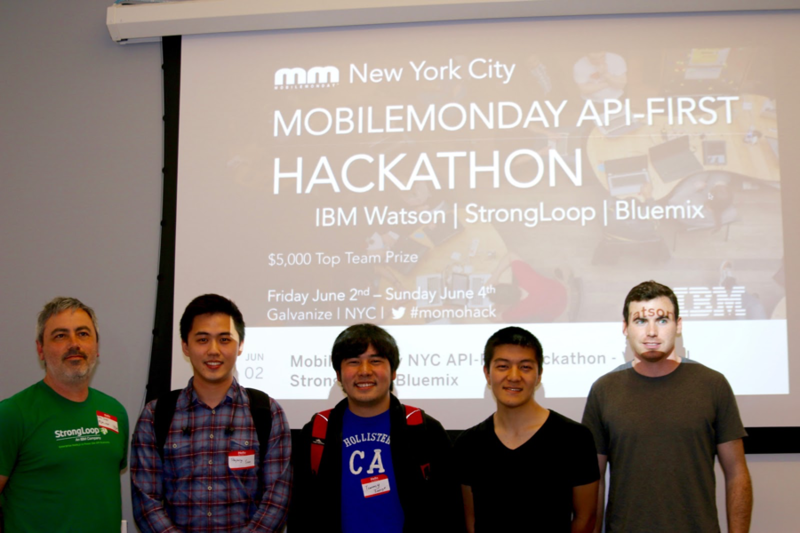 The StrongLoop team has been working with Mobile Monday for events for some time now. Recently, though, we combined forces to host a hackathon at Galvanize NYC from June 2-4th, 2017. 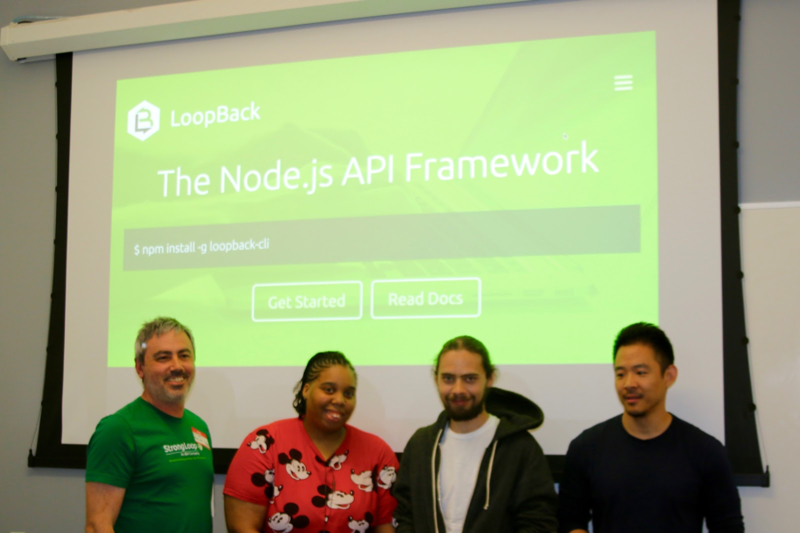 Developer Evangelist Joe Sepi was on hand to provide an overview of LoopBack as well as support and encouragement. MobileMonday is the premiere community for the Mobile and Connected Industry. It is an open community platform fostering industry cooperation through events that educate, demo products, share ideas and discuss industry trends. 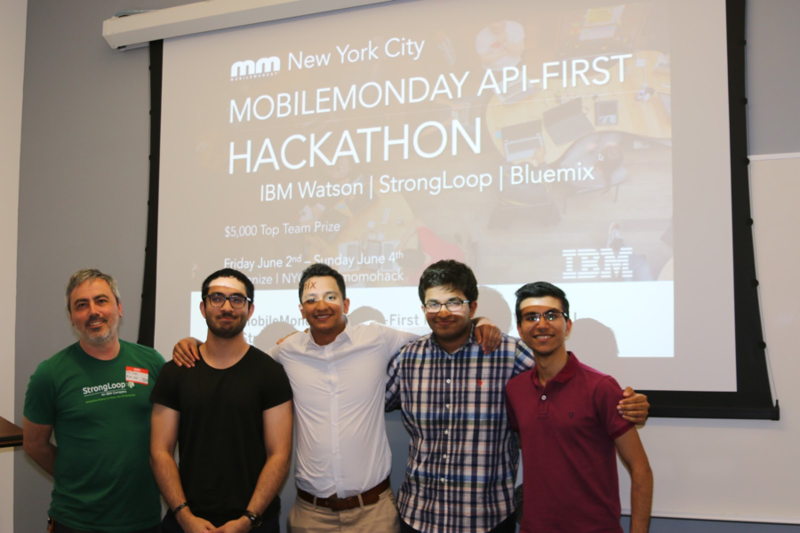 The hackathon was open to solo entrants or teams made up of beginners, pro hackers, and everyone in between. 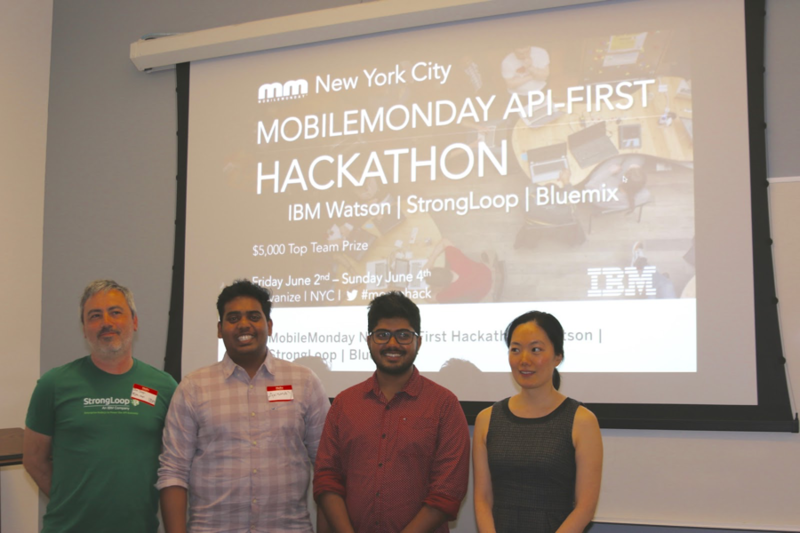 Participants were set to hack with Watson, StrongLoop’s LoopBack, and Bluemix. Here’s a list of the winners, including best use of LoopBack. Evidence-based medicine (EBM) is an approach to medical practice intended to optimize decision-making by emphasizing the use of evidence from well-designed and well-conducted research. A medical professional generally depends on articles published in medical journals for this evidence. Thousands of article are being published every day. which makes it very hard for the health care professional to find relevant info. Congratulations to the team, composed of Akshay Kumar Vikram, Vishnu Pillai, and Gladys Um. A common struggle for all is to think of gift or date ideas. With our app, we got your back. Finding a gift for someone can often times be hard, and many people end up resorting to giving impersonal gifts like gift-cards. With our app, Watson will study a person through his/her social media, utilizing its Personality Insights service, and suggest a gift for you to get. Kudos to team members Harmit Minhas, Prasanth Venigalla, Jai Punjwani and Sarthak Arora. The third prize went to “Smart Bitly”, dubbed as “Bitly But Smarter”. Our solution is a service that operates as a link management platform. But unlike conventional shortening services, the aim of our platform is to more efficiently aggregate information to people of different backgrounds regardless of the content we are sharing and tear down the language barrier completely. On top of maintaining links, we parse through the content and use Watson’s cloud services to accurately translate and rebuild the content in a cohesive fashion. Unlike Google Translate services that blindly go through the webpage and tries to translate every sentence it sees, our service takes a more logical approach and more accurately translates our content. This team included Tommy Inouye, Sean Inouye, Edward Donovan and Shuyang Sun. The winner for best use of LoopBack (based on LoopBack usage tracked with a scorecard) was inspired by bringing friends and food together and determining what to eat tonight, especially when you are paralyzed by choice. Too much freedom?! We’ll take the pressure away from choosing. Congratulations to Richard Kuo, La-Keisha Towner and Roman Levytskyy for their creative use of LoopBack. Each team member was awarded a TJ Bot. Loopback can help you get an API up and running in 5 minutes! Here’s how.